Dr. Michael DeShield BA BVSc, MSc passed away on Dec 20, 2011 after battling colorectal cancer which had spread to his liver and lungs. Deshield had been at the forefront of Belize’s bio-safety standards system since the nineties when the Belize Agricultural Health Authority, BAHA, was formulated as the local inspection agency for animal products. He retired as its Technical Director for Food Safety Services after 11 years and eight months. 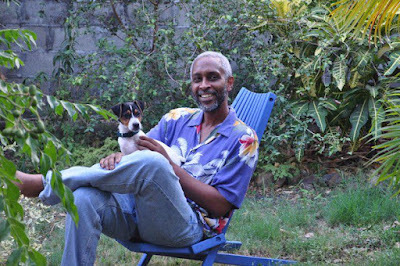 He was also the co-owner and founder of the first privately-owned, Animal Medical Center Veterinary Hospital in Belize City. Exactly one month ago, on November 18th, Dr. DeShield made his last public appearance when he told his colleagues in the agricultural sector that he was very ill and was retiring from public life. He is survived by his wife and business partner, Miriam, and their children Christopher and, Phillip, daughter in law Miriam Loh, grandson Omar Gibson and loving niece Nikita Fairweather. He is also survived by sisters Rosalie "Peggy" Fuller, Ann Collins, Sandra Collins Fairweather and Sharon Reneau Washington also several nieces and nephews. He was predeceased by his sister Yvonne Deshield. Dr. Deshield was born on Jan. 3rd 1957 to Carrie Smith Collins and Wilton Deshield (both deceased). He attended St. John's Primary School, St. Michael's College and Belize Technical College in Belize City. He received a Bachelor of Arts in Biology and Tropical Agriculture from Goshen College in Indiana; he graduated from the University of Queensland in 1988 with a Bachelors Degree in Veterinary Medicine and in 1995 from the University of Edinburgh with a Masters Degree in Tropical Veterinary Medicine. 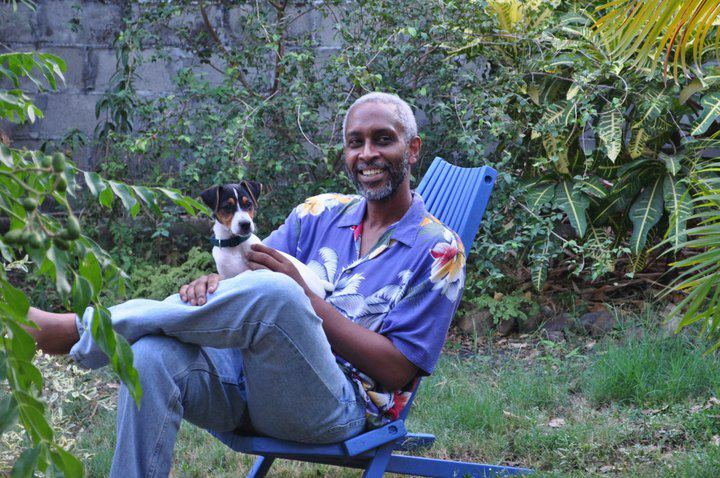 He has served as President of the Veterinary Association of Belize and also served on the Vet Surgeons Board. In 1990 Michael began twenty-one years of service with the Ministry of Agriculture as a Veterinary Officer in Central Farm, Cayo. He was posted to the Central Investigative Laboratory in Belize City in 1996. Michael opened animal Medical Centre in 1998. He was one of the founders of the Belize Humane Society and Animal Shelter and of the Placencia Humane Society. In 2000, Michael was one of a group that formed the Belize agriculture Health Authority (BAHA) and he was made Director of the Food Safety Department. Michael served on the Committee on Biosafety while acting as the Biosafety Focal Point, the Bureau of Standard as the Chairman on the Standards Advisory Committee, the Food and Nutrition Commission as Chairman and Vice Chairman and was a member of the Scientific Steering Committee where he acted as first Chairman. Internationally, Michael worked with a multiplicity of food and agriculture organizations in matters relating to food safety including WHO, FAO, OIRSA, IAEA, was on the roster of Experts for World Health Organization and was Belize's representative to the CODEX Alimentarius Commission. Funeral Services is set for Dec. 23rd 2011 at All Saints Church in Belize City at 2:00pm, Bishop Phillip Wright will be presiding. Hé was special, true, real.... RIP. Condolences to a wonderful family. My condolences to his lovely Family.God bless them and help them to ease their pain. He was a dear friend and a magnificent Doctor and individual. Dr. DeShield was a very dedicated Belizean. He did so much more than we realized. I'm sure many Belizeans didn't know of all his accomplishments. A great Belizean gone to soon!